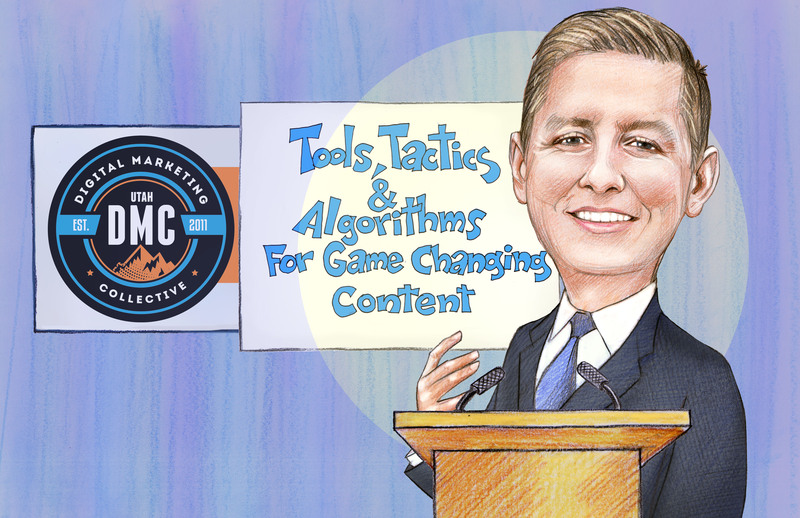 Paxton Gray has been in the digital marketing sphere since 2007 and knows what it takes to create game-changing content that leads to success. As current VP of Operations for 97th Floor, Paxton oversees the success of campaigns for companies like Salesforce, ESPN, and MasterCard. He loves sharing what he's learned throughout the years and has spoken at different industry conferences on the knowledge he’s gained. You can connect with Paxton via LinkedIn or Twitter. “Bathe Your Mind in Data”: Great content comes from the unconscious. However, you must constantly feed your mind good data in order for it to produce good content. Engaging content also must come from both your creative and analytical abilities. Strictly analytical content is not engaging for users, despite being useful. Use Search Data: Search data includes SEO, PPC, market research, content marketing, and web development to generate content ideas. Use analytical tools like Spyfu to compare data and don't just go after keywords with the highest volume, strategize your approach for success by looking at the bid and difficulty as well. Create Comprehensive Content: Google likes comprehensive data. Compare existing content to high ranking content using tools like Ryte, to see what information your posts might be lacking and optimize pieces to help them perform better. Tap Into the Human Algorithm: Understanding the user is vital to creating engaging content. It’s important to understand your users and find out what makes people tick. Your audience is complex and the better you understand who they are the better you can tailor your content to suit their needs. Utilizing these strategies will help marketers create better, more effective content that resonates with our users. Considering that 70% of B2B content goes completely unused, if marketers can create more engaging content, they can save a significant amount of time, energy, and money on content marketing. Anthony Ambriz works as a professional coach, consultant, and video marketing strategist. His love of film allowed him to break into the YouTube space, gaining over 600 million organic views on his own videos and generating over $22 million in sales for his clients. Having mastered YouTube, Anthony jumped at the opportunity to create content for LinkedIn when it launched its video feature last year. Anthony has now gained success as a LinkedIn Video Specialist and realizes the potential of the LinkedIn platform for building B2B leads. 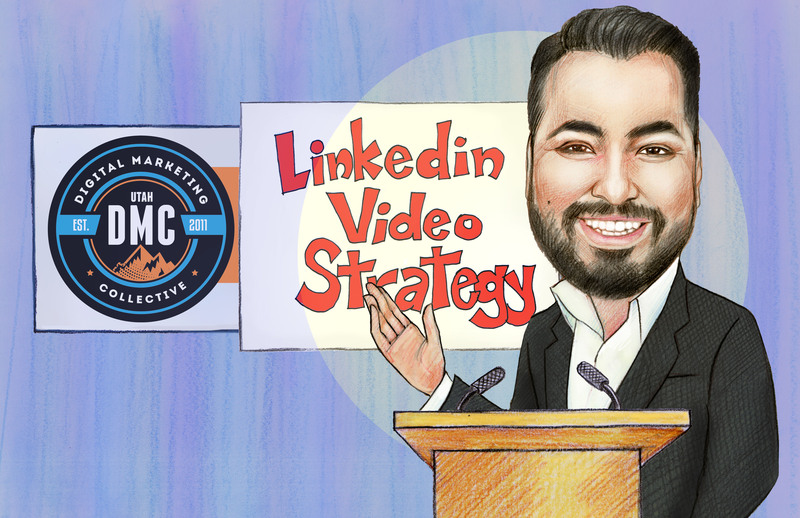 You can connect with Anthony via his LinkedIn profile or email at anthony@vidstrategy.com. This means there’s a wealth of opportunity to generate B2B leads and traffic through LinkedIn video. Some of the main advantages for LinkedIn video include their ability to drive traffic, generate leads, sales, and career opportunities, and the ability to rank well with SEO (there's not a lot of competition—for now). As you build out your LinkedIn video content strategy, there are three main mistakes you should seek to avoid. Not Optimizing Your LinkedIn Profile: If you’re directing traffic to an unfinished or unprofessional profile, you’re doing yourself a disservice. Upgrade to Premium, include a professional profile picture and banner, include a summary, and show your work. No Clear Purpose for Your Content: Content for LinkedIn should be created and shared with a purpose. To achieve this Anthony suggests you should pick a theme, determine what kind of content you want to create, and lay out your content calendar with no more than 2 videos per week, to begin with. Not Understanding Your Analytics: Although LinkedIn analytics for video content is still limited, you should still do research to determine what times work best for posting and tag companies that regularly engage with and watch your videos. Anthony's experience as a consultant and coach for video marketing show he knows what he’s talking about when it comes to utilizing video strategy. Companies looking to create more B2B marketing opportunities would do well to consider using Linkedin video to better engage with their business audience. Thanks to Adobe for hosting this amazing event, as well as all the event sponsors who made it possible. If you’re interested in learning more about podcasting and marketing events check out the Utah DMC homepage for upcoming events and updates.